Last updated: Jul 27th, 2016. 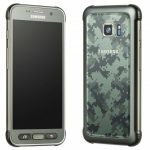 The Samsung Galaxy S7 Active is rumored to be a more rugged variant of the Galaxy S7, likely exclusive to AT&T. A few leaked photos of the phone has emerged, but little more than whisperings on pricing and availability. 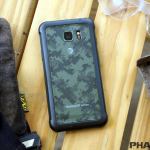 The Samsung Galaxy S7 Active is the fourth phone in Samsung’s Active line. It brings an extra layer of toughness to the Samsung Galaxy S7, but this year the difference between the two is smaller than ever. The Samsung Galaxy S7 Active is finally here and ready to be used and abused. 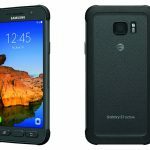 The Galaxy S7 Active is essentially a Galaxy S7 with a beefy case permanently affixed, but it does offer a few extra tricks. 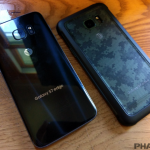 Owners of the AT&T Galaxy S7 Active are reporting that they are receiving the Android 7.0 Nougat update. 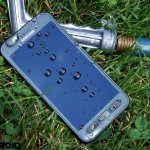 Samsung has come out to confirm that the Samsung Galaxy S7 Active did, in fact, suffer a manufacturing glitch which caused some devices to be insufficiently resistant to water. 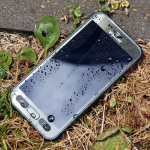 Consumer Reports put the Samsung Galaxy S7 Active, with its IP68 rating, through a series of water-immersion tests to see how the device would fare when submerged for 30 minutes. 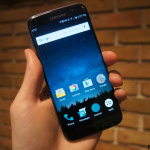 The Samsung Galaxy S7 has spawned two spin-offs: the Samsung Galaxy S7 Edge and the Samsung Galaxy S7 Active. One went for beauty while the other went for toughness. Does the rugged Active have enough to take on the superior Edge model? We all know that the Samsung Galaxy S7 Active is more durable than the standard S7 model, but you need to watch this video to get an idea of what kind of abuse the phone can withstand. Today is Friday, June 10th! That alone is ordinarily enough to make it a good day, however those looking for the Samsung Galaxy S7 Active are in for an extra special treat. The device is now available to purchase from the carrier.